Great tasting coffee starts with the highest quality green coffee beans. At Highland Coffees we bring in exceptional green coffees imported from the classic countries of origin. 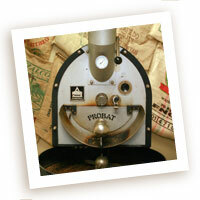 These coffees are skillfully roasted in small batches throughout the week in our Probat roaster. Once roasted, the beans are packaged for our retail selection, sent to customers of our online store, or they are used to make all of the coffee drinks we offer in the shop. Freshness is fleeting. Coffee loses much of its subtlety and depth of character in only two weeks after roasting. 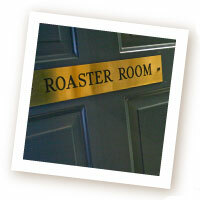 The way to deliver great coffee is to create the shortest distance between the roaster and the customer. Roasting in-shop, just steps away from the retail shelf, enables us to bring outstanding coffees at their freshest to our customers. Read about the Highland Coffees Roasting Process.